Fonts are a great way to help enhance the look and feel of any scrapbook page, and Christmas scrapbooks are no exception to the rule. Make use of the many different Christmas-themed fonts available for free to customize and embellish your scrapbook pages. Downloading these Christmas fonts is easy! Simply click on the image link and a dialog box will open. Depending on your browser settings, you will either open or save the download file to your computer. The file will arrive to you in a folder. Open the folder to see both our disclaimer document (please read!) and the actual font document. Opening the font document will allow you to see the actual font and if you like, you can click on the install button to add it to your computer's font folder. Once it is installed, the font will automatically show up in your word processing documents. Simply select it like any other font, use and enjoy! It is all free! 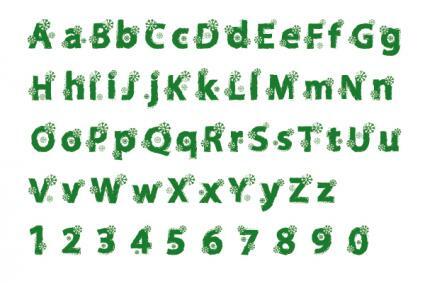 The Holiday Spot has more than 40 different Christmas-themed fonts, all of which are free for download and use. 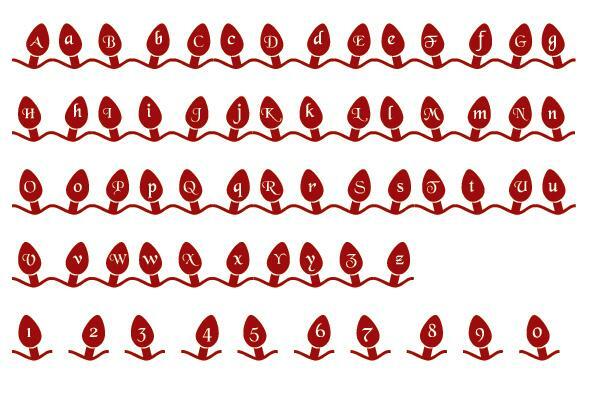 Included are simple text-based fonts, pictorial fonts such as strings of lights with a letter inside each one and ding-bat style fonts that feature snowflakes and trees. All fonts download as .zip files. Click on the font you want; a pop-up box will ask you if you wish to save the file. Click save, unzip the file, then install the font on your computer. Da Font has more than 100 different Christmas fonts, free for download. The site allows you to type in your text to see how it will look in each of the fonts before you download for easy viewing. Fonts include striped candy cane text, text with snow falling on it and text that includes several small images surrounding each letter like ornaments and candles. Click the "download" button located to the right of each font. A pop-up box will direct you to save the file. All files are in .zip format; unzip them before installing. Fonts and Things has seven different free Christmas fonts. 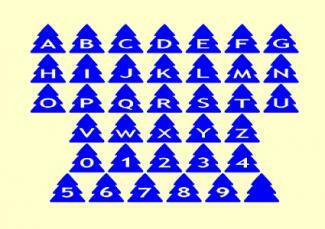 All fonts feature letters silhouetted against an image such as an ornament or a Christmas tree. In addition to the fonts, the site also has several different Christmas images and icons that you can use with the text to further embellish your scrapbook pages. All fonts download as "Web Font Kits." Click on the "Download Web Font Kit" button; a pop-up box will direct you to save the file. The files download as .zip and you will need to unzip them before installing. Font River offers more than 90 different free Christmas fonts that you can use. Available designs include fonts that hang each word as an ornament from a hook, fonts that cover your words with snow and fonts that feature each letter of a word as part of the ribbon on top of a gift box. Click on the font to be taken to the "test drive" and download page. You can download the font immediately, or type in your text to preview the font before downloading on the "test drive" section. To download, click the download button; a pop-up box will direct you to save the file. Unzip it before installing. Acid Fonts has more than 30 free Christmas fonts for download. Fonts include letters made out of beads, letters covered in snow and letters surrounded by snowflakes among others. Click the "download" button to be taken to a page that allows you to type in your text to preview it in the font before downloading. Click "download" again on this page to get a pop-up window directing you to save the file as a .zip. This site offers a program to unzip the file for you if needed. 1001 Free Fonts has two different Christmas fonts, one with holly leaves and the other featuring the letters encased in Christmas lights. Both are free for personal use. The site allows you to preview your font before downloading by clicking the "preview" button located to the right of the fonts. To download, select either Windows or Mac OS and follow the instructions on your computer. With so many different free Christmas scrapbook fonts available, you'll have no trouble finding the exact font you need to embellish and highlight all your Christmas memories. Select fonts that will complement your photos and themes for a cohesive look.